A lot of our problems arise from our tendency to rush and interpret people, occurrences or even thoughts than understand them. Even before people have finished saying what they want to we have composed our responses in our mind. When a simple coincidence like a cat crossing our path happens, we have interpreted it as a bad omen. If we dream of someone dying in our dream, we interpret it as a sign that something grave is due to happen, often as a premonition of our own death! Our urge to interpret, or our inability to deeply understand Life, often comes in the way of our living fully, completely! Even if unwittingly, my neighbor taught me the value of understanding, over interpreting, this past week. My neighbor also happens to be administering the affairs of the condominium in which we live. When we moved in here, I noticed that the common waste disposal bins were too small for the amount of trash that was generated by the apartments in our building. It never struck me then that I could suggest to my neighbor that she consider enhancing the capacity of those bins. However, when a journalist friend from a local daily pinged me asking for some thoughts on being responsible citizens in today’s age and time of community living in condominiums, I did speak openly on how ‘insensitive’ condominium planning and planners can be. I requested my friend not to quote me because I loathe any visibility and also because I was new in our condominium. My friend assured me that I would not be quoted. I was traveling for several weeks after this conversation so I missed reading the local papers in that time. Upon my return from my travels, I happened to meet my neighbor. She promptly referred to the report in the local daily, which had appeared when I was away, and said: “Good point. But I wish you had told me about this first before talking about it in the media.” I was shocked. I looked up the newspaper clipping and there I was, evidently quoted. My journalist friend had obviously not kept her word. I apologized to my neighbor profusely and transparently shared with her how this had come about. “I am sorry we are experiencing each other this way. I seek your understanding,” I prevailed upon her. It was a particularly awkward moment. I was meeting my neighbor only a second time since we had moved in. And to be defending a banal situation such as this one was so stupid. Further, in a condominium’s context, where neighbors, particularly if they are also administrators, have huge egos, this unintended media coverage and its possible aftermath were both imminently avoidable. My neighbor and I shook hands and we promised to reach out if we could help each other in any way. Ever since that instance, surprisingly, our neighbor has been always available for any escalations we may have had with regard to issues relating to the common areas or shared services in our building. And yesterday, she even reached out and apologized for an inconvenience that we were put through owing to the elevator not working. How dare he talk about our condominium’s planning and planners when he is a rank newcomer here? Why did he choose to talk to the local daily when I was just living a floor above him – obviously he has a sinister agenda to paint me black? For all the damage he has caused, for which he feigns an apology now, I don’t want to have anything to do with him and his family – let him fend for himself! There’s so much destructive power that interpretation holds. And so much constructive opportunity that understanding offers. It is a no-brainer which path we must choose. Yet, by default, we all often rush to interpret. To interpret means to judge. To judge means to perceive. And, as Aristotle has said, to perceive means to suffer, because what you perceive may or may not be true. To understand, on the other hand, is to accept people for who they are. There is no judgment involved here. And those that understand always, as I have learned from my neighbor, have a teachable point of view. 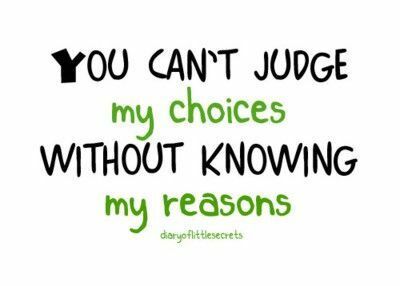 Don’t judge and don’t bother about being judged! One of the first lessons we are taught in school is “Don’t judge a book by its cover”! But that’s precisely what we do.We do it all the time. We are always judging someone or something __ events, governments, government policies, sporting teams, movie stars, politicians, children, parents, siblings, companions and partners. Why do we judge? Because judging is free. Nobody is stopping you. So you indulge in pronouncing judgments. It comes easy. It is exciting. It gives you an air of superiority. That superior feeling you may not be seeking consciously at all. But your subconscious loves it. You feel like an exalted member of the jury, looked up to by your own private circle of courtiers, while pronouncing someone guilty. And why do we loathe being judged? Because you almost always are being judged for a single act and not for the real person that you are. Let’s say, in a country like India, in a city like Chennai, where autorickshaw drivers are known to fleece people, you are seen haggling with an autorickshaw driver for about Rs.20/- (less than 50 cents). You are attired in business formals, are carrying a laptop bag and looking every inch a well-heeled white collar manager. Two people passing by, who are new to Chennai, watch you haggling. 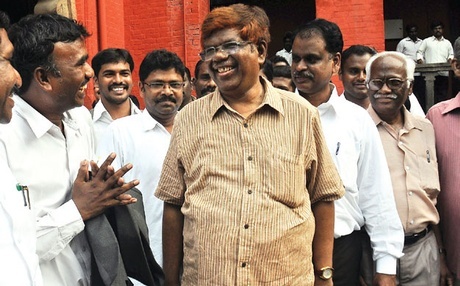 One of them tells the other that he thinks you are a miser who is finding it difficult to part with Rs.20/-! You hear that comment and feel hurt. Why? Because your fight with the autorickshaw driver is on a matter of principle and not a function of affordability. That you are a man of principle is not being considered by the opinion-makers. That you are a miser, which you believe you are not, is what they perceive. So, you hate being judged because it is never based on the complete reality though it may well be based on some sound perception! When you are judged, you feel like a worm. You feel like a criminal, standing helplessly in the dock, who’s being judged and indicted without the full story being heard! 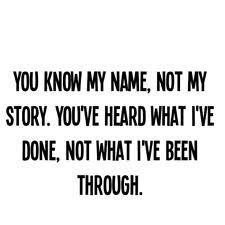 The simplest way to avoid judging is to put yourself in the shoes of the person being judged and ask if you would have liked to be talked about that way! This is not easy to do. But it is simple. Over time, employing empathy and compassion, you can kill your urge to judge __ yourself and other people! No one is perfect. No one is complete. No one is a saint. And no one is a born villain. Left to themselves, even the people who commit heinous crimes, who are tried, judged and punished by law, may not have ever wanted to end up that way. Given a choice, they would not have wanted to commit those acts at all or they may well want to undo those acts. Take Oscar Pistorius for example. Who would have thought this global icon would have ended up facing charges of murdering his girlfriend? In his statement he has said, “I am absolutely mortified by the events and the devastating loss of my beloved Reeva…I cannot bear to think of the suffering I have caused her and her family, knowing how much she was loved….” Pistorius has his own reasons, his own defense for shooting at Reeva (as he says, accidentally) and the court trying his case will focus more on the act than the person he is. In fact, that is the way law is drawn up in all parts of the world. Where the criminal act, with the related evidence, coming into weigh more on the final judgment than sentiment. The judgment rarely indicts the person. It merely punishes the act, though the person who committed the act is pronounced guilty of it! Perhaps there’s a lesson from the legal system here for all of us who indulge in recklessly and wholesomely judging people. Perhaps, it’s also a good idea to fundamentally evaluate whether judging people, including ourselves, is worth it at all? A lifetime is a much bigger, vaster, varied experience. A single act may well mar and scar a person’s reputation __ as we found in the case of Shiney Ahuja or Tiger Woods or Bill Clinton __ but cannot incinerate a lifetime of work. 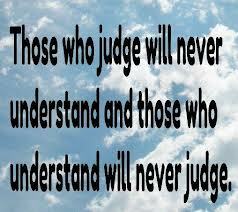 So much time and emotion is wasted in judging. So much so, that sometimes, we end up judging ourselves and plunge into either depression or float in a fake sense of exaggerated self-importance. This does not mean that we should not step in when we see someone headed in a wrong direction. We sure must. A teacher must judge the performance __ both academically and morally __ of her ward and prevent and prohibit factors that inhibit good performance. Don’t judge does not mean don’t correct. It means don’t condemn. It means don’t dump. It means focus on the act and still respect, love and appreciate the person for who she is. Place the act not in the backdrop of your morality, your virtuousness or your principles alone, but in the context of that person’s well being and the well being of the people in his or her circle of influence. For all the same or similar reasons, should you agree with them, don’t bother about being judged. Because if you are being judged, there can be two reasons. One, your actions must have led to the judgment. Second, the people judging your actions may be less evolved and may have ended up condemning you wholesomely. Either way, it doesn’t change who you are. So, live with that truth and make peace with yourself that way! To judge __ others or yourself __ is as heinous a crime as the act being judged itself. It is wasteful, regrettable and, therefore, imminently avoidable. Instead, a better position to take is to be a witness. A silent observer. No opinions. Just quiet learning. Take what you want to take from that person’s action or experience and discard the rest. Most important, when you are a mere observer, there is no anguish, no pain, no suffering, no victim, no villain…there’s just you, in total bliss. Author AVIS ViswanathanPosted on March 5, 2013 March 14, 2016 Categories Anguish, Art of Living, Bliss, Chennai Autorickshaw Driver, Don't Judge, Guilty, http://schemas.google.com/blogger/2008/kind#post, Inner Peace, Intelligent Living, Judge, Observer, Oscar Pistorius, Reeva Steenkamp, Suffering, WitnessLeave a comment on Don’t judge and don’t bother about being judged!